If you are in your second trimester of pregnancy, it is good to begin doing “kick counts”. Baby’s firstmovements are known as, “quickening,” and it actually begins between the 13th and 16th week of pregnancy. They feel sort of like a butterfly in your tummy, but some women mistake it for gas bubbles. 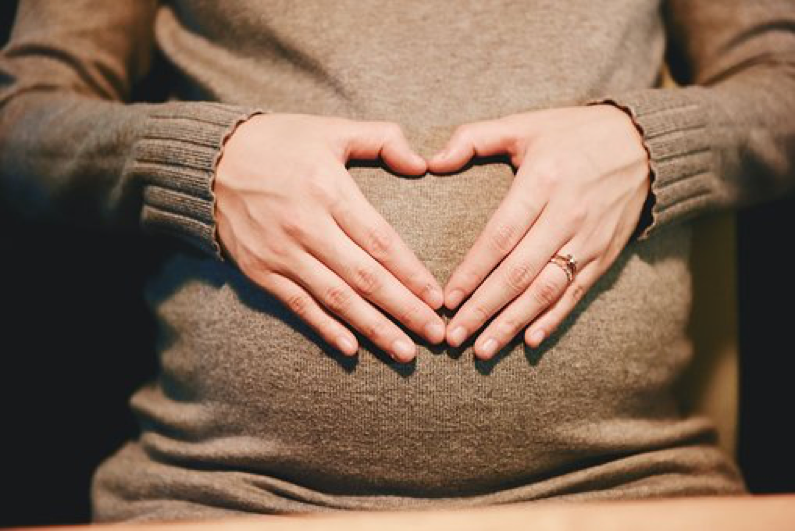 This article will help you understand more about your baby’s movements at 22 weeks of pregnancy, how often you should feel kicks, why they move, and other helpful information. How Often Should I Feel Baby Move At 22 Weeks? Around the 22nd week of pregnancy, fetal movements are still very sporadic. Some experienced moms feel those first “flutters” around 13 weeks, others may not feel them until as late as the 24th week of pregnancy. At this point, there is no actual number of “kicks,” you should be feeling at this time. The good news is, it is during your second trimester when you will begin to feel your little one moving around inside. Between 16 and 22 weeks is the most common window to begin feeling signs of movement. These first movements are not actual “kicking” movements, so don’t expect a good stab in your side until much later in pregnancy. If you are busy working around your house, or walking you may just be missing when it happens. You may also be wondering why you feel like you have “bubbles” in your stomach. This actually may be your baby moving around. Rhythmic bumping in your tummy may mean your baby has a case of the hiccups! Increased Movements or Flutters After Eating. Blood sugar gives you energy, and it affects your baby too. If you want to try and feel baby moving at 22 weeks, eat some carbohydrates or drink something sweet. Lie down with your hands on your tummy and see if you can catch a few wiggles. Baby Moving While You’re Resting. If you are lying in a position that baby doesn’t like, he or she may squirm around to tell you to move into a new spot. Try lying on either side to see if this gets your little one going. Just don’t lie flat on your back, this can decrease circulation to the baby. Less Movements While You’re Active. If you are active or walking, the swaying could be keeping baby asleep. Your baby may also be awake and moving at this time, but your increased activity makes you less aware of any movements. Baby Sleep/ Wake Cycle. If you are questioning, “how often should I feel baby move at 22 weeks?” It is important to know that babies go through a natural sleep/wake cycle in the womb. Your baby may be sleeping while you are awake, and moving while you are asleep. In this case, you wouldn’t be aware of movements this early on. Just remember that at first these movements will be very small and light. As your pregnancy progresses past 22 weeks, your baby’s arms and legs will begin to grow and get stronger. Towards the end of your second trimester you will be feeling; stronger kicks, stretches, and even doing flip-flops. If your baby is moving and you still need to know, “how often should I feel baby move at 22 weeks,” understand that your baby is not much larger than a large mango or papaya. They do look like a very small baby with arms and legs. They are less than 12 inches long and weigh right around 1 pound, or maybe a little less than a pound. At this time, they have not yet developed enough to be able to tell definite kick patterns. At 22 weeks, the chances for baby surviving if born now are very low. Babies born at 22 weeks have survived with medical intervention if the mother is given steroids to help develop the lungs and brain cells. Survival of babies born this week largely depends on their birth weight being at least 1 pound. The good news is, babies born a week later at 23 weeks have a better chance for survival outside the womb. Chances are you are still feeling very good, which is common in the second trimester. If you need to do anything that requires a lot of activity, now is the time to do it. As you approach your third trimester, your activity levels may decrease over time due to your baby getting bigger and heavier to carry.